In The Dark Knight Manual, Bruce Wayne actually walks you through his rise as Batman in Nolan's dark, realistic, re-imagining of Gotham City. 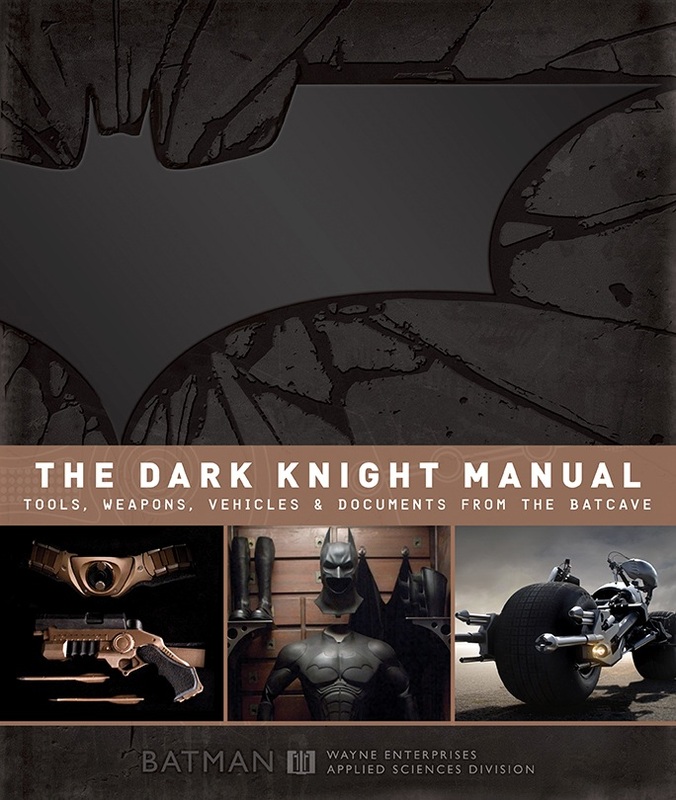 The book is packed with diagrams, description, and specs on a load of different equipment that the movie version of the Batman uses in his war on crime. The second volume is a little bit different, and not just because it focuses on the famous batmobile instead of it's driver. 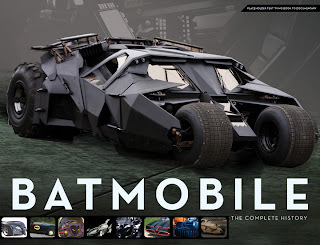 Batmobile: The Complete History is particularly awesome since it contains a complete rundown of The Dark Knight's favored mode of transportation throughout the character's complete history. Basically, you'll be able to check out 'the car' all the way from it's humble beginnings in Detective Comics (in 1939!) to the Tumbler from the excellent Nolan trilogy. We'll be seeing that one again of course, in this Summer's The Dark Knight Rises. Personally, as much as I like the current series of movies, my favorite version of the Batmobile is the one that featured in the 1989 Tim Burton classic Batman. Half style, half substance- that's how I've pictured the car ever since I first saw it on the big screen. 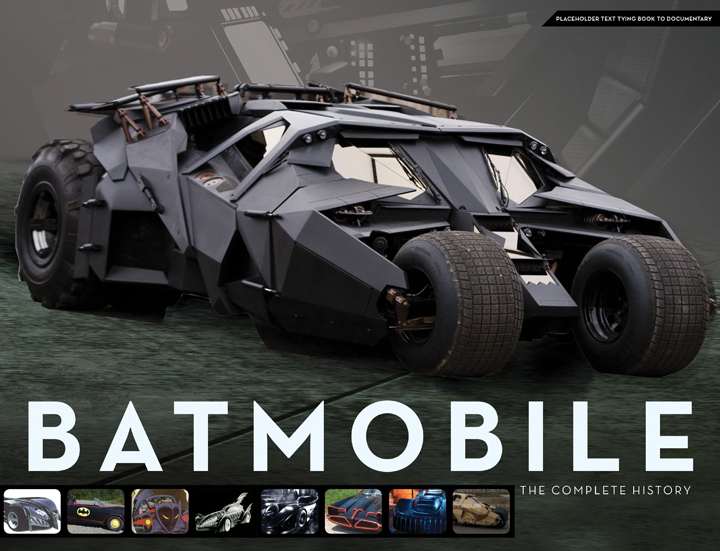 BATMOBILE: The Complete History is the story of the distinct, sophisticated, incomparable car. From its evolution in the pages of Detective Comics, to its unforgettable appearances on the big screen, this book explores each incarnation of the Batmobile with the detail such an extraordinary automobile warrants. Author Mark Cotta Vaz uncovers insights and stories from creators and conceptualists that reveal the nuts and bolts of putting these dream machines together and explains the philosophies behind each design. With stunning gatefolds-including a large-scale panorama of the Batmobiles featured in film and television-and detailed specs, blueprints, and historical comparisons, BATMOBILE: The Complete History is an informational and visual delight for automotive and Batman fans alike. Sound like a pair of books you don't want to miss out on? You won't have to wait too long to get your hands on them. 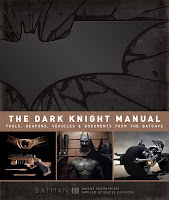 Both The Dark Knight Manual ($40) and Batmobile: The Complete History ($35) will be available at bookstores and Amazon.com later this month.